Romantic and classic with stunning detailing. 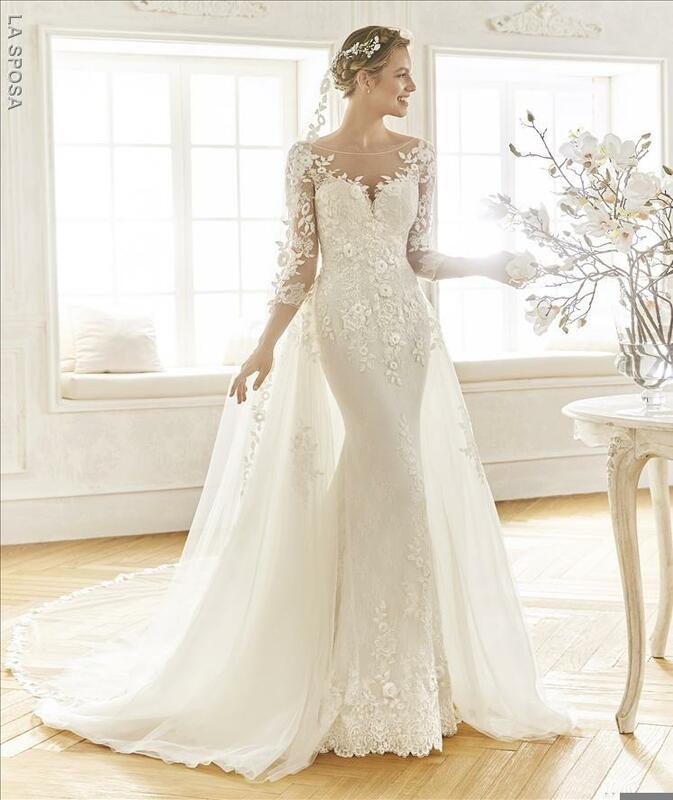 An amazing full length crepe and lace, long sleeved gown. With beautiful button detail and a fabulous manageable train. The stunning illusion lace bodice detail fades away at the lower waist into a clean crepe skirt, at the end of the train the lace detail is picked back up, in the exquisitely placed appliques, that is sure to stun as you walk down the aisle.